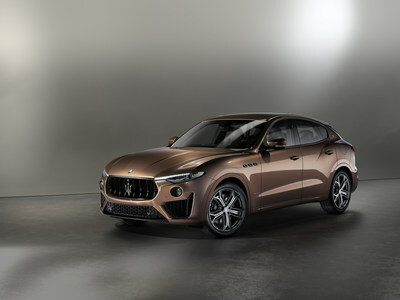 MODENA, Italy, April 10, 2019 /PRNewswire/ -- Maserati will showcase its entire vehicle line-up with a special focus on the Levante, a New York favorite. The luxury all-wheel drive SUV is powered by a twin-turbo V6 or V8 engine, designed and built by Ferrari. There will be two North American premieres: the ONE OF ONE customization program, and a new leather interior in PELLETESSUTA™, made by Ermenegildo Zegna exclusively for use in Maserati vehicles. Maserati features Italian artisanal craftsmanship with the finest finishes through its ONE OF ONE customization program. Customers select from thousands of interior and exterior options to meet their personal needs and tastes. Whether it's a favorite color palette, material or design inspiration, the Maserati design team works closely with each client to create a vehicle, as unique as each person who drives it. This program exemplifies Maserati's ability to construct customized one-of-a-kind automobiles. 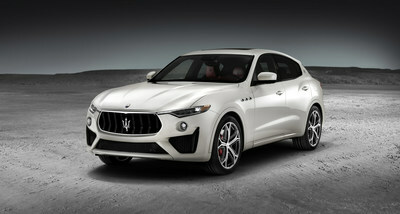 On April 17, there will be a world premiere at the New York Auto Show as a celebrity receives the keys to their never seen before personalized ONE OF ONE Levante GTS. This program will roll out to North American dealers in the near future to satisfy the discerning tastes of clients. Visitors to the New York International Auto Show will also see the entire 2019 Maserati portfolio. 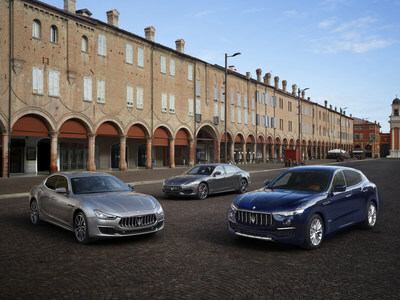 Maserati's product range includes the powerful and refined Levante SUV, the Ghibli sport sedan, the flagship Quattroporte sedan, and the legendary GranTurismo Convertible that perfectly represents Maserati's DNA.